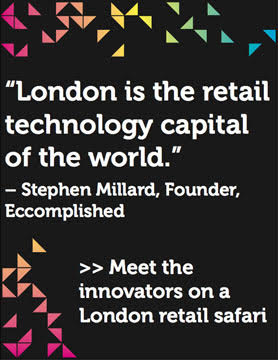 Thinking about adding a little innovation to your retail strategy? 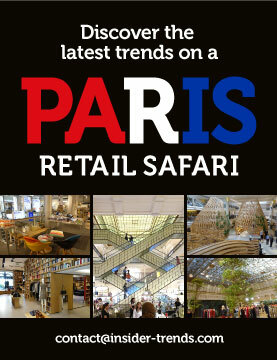 Find some inspiration in our first round-up of the best worldwide retail initiatives this year. It’s a good one! Coty Inc., the licensing partner of fragrances by Tiffany & Co. and Calvin Klein, has partnered with Julieraque to bring to life a fragrance-focused multi-sensorial virtual reality experience. Customers in store are prompted to input their data on an iPad, including their name and email addresses, as well as what scents they are drawn to and what perfume they currently wear. They then put on a virtual reality headset and pick up seven scented stones within the virtual setting; each one activates a unique eight-second video and is tied to a broad fragrance concept, like “citrus-watery,” “floral-fruity,” or “oriental-spicy,”. At the end of the video, and based on their top three favorite fragrance concepts, consumers can receive up to six recommendations from the eight Coty luxury brands. Financial Services Organisation Mastercard and Next Retail Concepts have partnered to create a new online shopping experience that allows shoppers to virtually navigate a 3D simulation of a physical store. An alternative to scrolling through product pages using traditional category tabs and filters, the experience takes shoppers into a store and allows them to browse. Fred Segal is the first seller to use the new platform, premiering at Refinery29’s 29Rooms experiential event. Purchases are completed within the same simulated environment, which is intended to integrate seamlessly with a brand’s existing e-commerce platform. We’re excited to see where this one will go. The Lobby is a new service that delivers a selection of items to customers in offices to try them on before committing. Every Wednesday, subscribers are introduced to new brands and products The Lobby thinks they’ll love based on their preferences. They then have until Sunday to request any items they want to try on. After delivery straight to desks, couriers come back a week later and pick up any items that didn’t work out – and only charge you for what you keep. 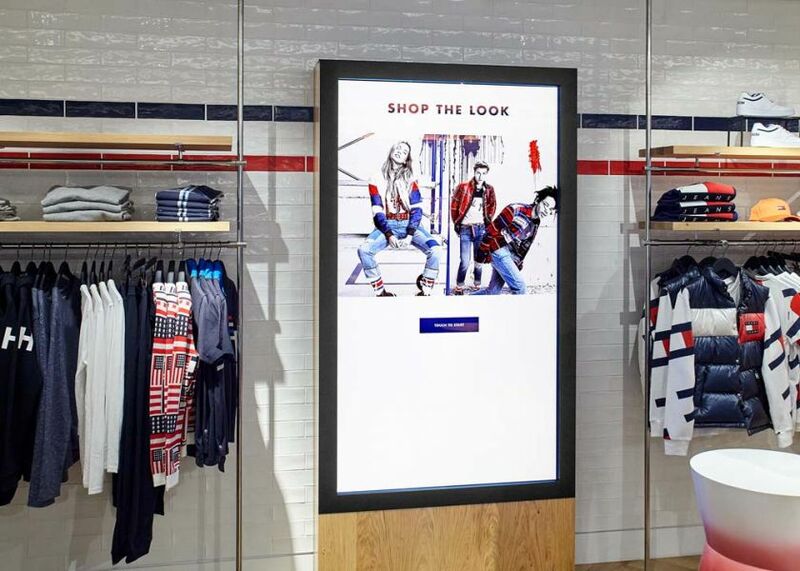 A “new generation” 300-square-metre Tommy Hilfiger store has opened in Amsterdam featuring floor-to-ceiling interactive mirrors, personalised embroidery stations and a cafe with digital screens built into the tables. 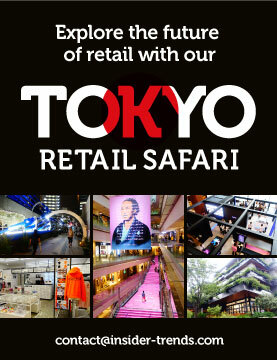 Described as the store of the future, it also contains large monitor screens which serve as “digital endless aisles”, allowing customers to browse the brand’s complete online catalogue, order directly to home, or identify items from different looks featured online. Costa Coffee has launched the UK’s first reusable contactless coffee cup, powered by Barclaycard’s bPay technology, in a bid to reduce the number of single-use takeaway cups. Using the cup, users can track their spending, top up their balance, and block or cancel the contactless payment element online or using the dedicated bPay app, available on iPhone and Android devices. Sold in packaging made from recycled coffee cups, the Clever Cup features a silicon base and contactless chip, which is detachable for ease of washing. The technology within the cup can be used wherever customers see the contactless symbol and not just Costa Coffee stores. This month has also seen the launch of another clothing subscription service from luxury clothing brand Vince, titled “Unfold”. However, this time, customers can just rent the items. Tapping into the millennial culture of showing off outfits on Instagram, each month customers are able to choose up to four pieces from the retailer to borrow. If the customer wishes to keep the piece they rent, they can purchase it at a discount of 20-60%, depending on the seasonality of the merchandise. The new service includes priority delivery, returns, laundry costs and insurance for a flat monthly fee of $160. With the fall of fast fashion, this could very well be the future of clothing. Google has added live local stock updates to its searches across the UK, allowing customers to see if products are available locally to them. The partnership between Google with start-up retail tech app and web service NearSt uses mobile tech to drive shoppers into stores. With this deal, consumers searching online for products will be able to see available inventory in shops near them as well as showing distance, price and availability directly in the search results. Swedish hardware store chain Clas Ohlson has opened a new Lab Store in Stockholm, designed to look and act like a home. In the new lab, customers can book help for home projects through Clas Fix It, develop photos, have their knives sharpened and get advice on home improvements. They can also use the in-store auditorium to attend seminars and other events related to goods and services for the home. 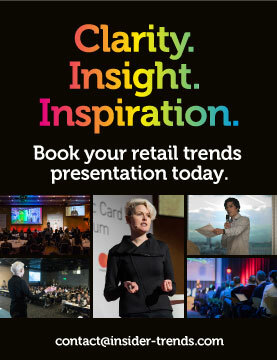 As well as customer experience and engagement, the store stocks a unique product range and services which will be tested by the retailer before decisions are made about whether they should be stocked more widely. 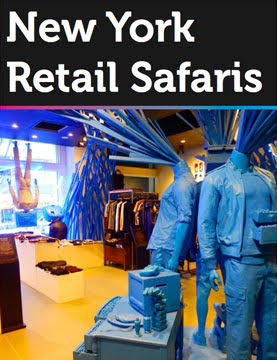 For more of our expert knowledge and to find out about the latest trends in retail, take part in one of our London retail safaris or register for one of our New York retail trend tours.